Starting a baking blog is much harder than it seems. With a full time job during the week, the only free time I have to bake and write is at night or over the weekend. I’m always looking for easy recipes to satisfy my sweet cravings, and these chocolate truffles are so easy to do! The recipe does not require any baking, and it only calls for 2 main ingredients that you probably have in your kitchen right now. That’s right, no baking and no electric mixer! So simple. All you have to do is heat some heavy cream, pour it over finely chopped chocolate, add some liqueur (optional), and whisk until smooth and glossy. 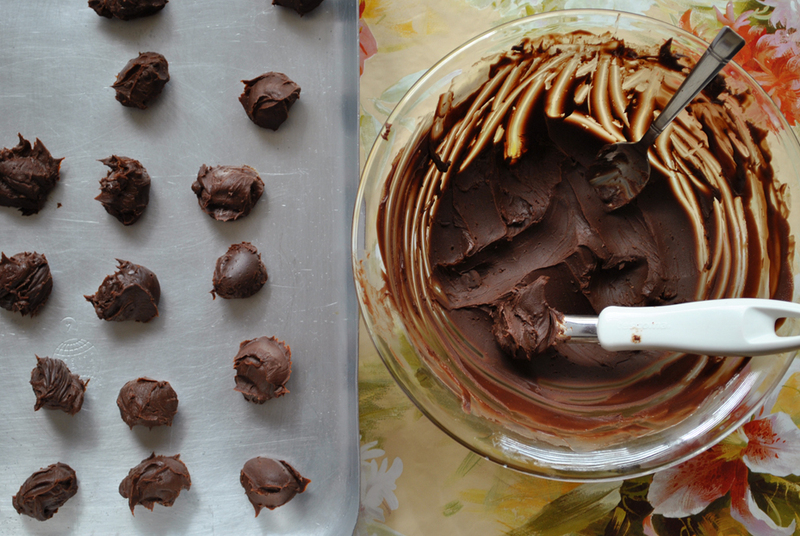 Refrigerate the ganache for a couple of hours, and roll into balls. Yumm who doesn’t love chocolate?! And finally garnish with cocoa powder! 1. 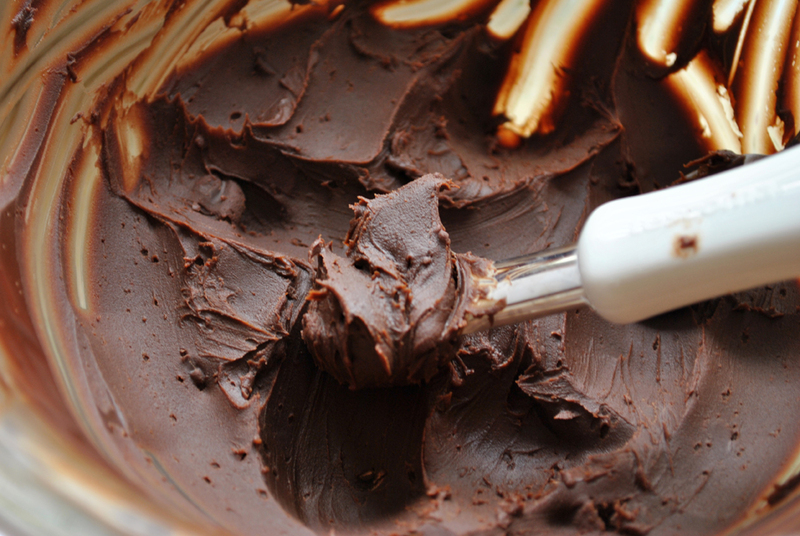 Finely chop the chocolate (to allow it to melt completely without having chunks of chocolate in the truffles). Place in a mixing bowl. 2. Heat the heavy cream in a saucepan until bubbles begin to form around the edge of the pan. 3. 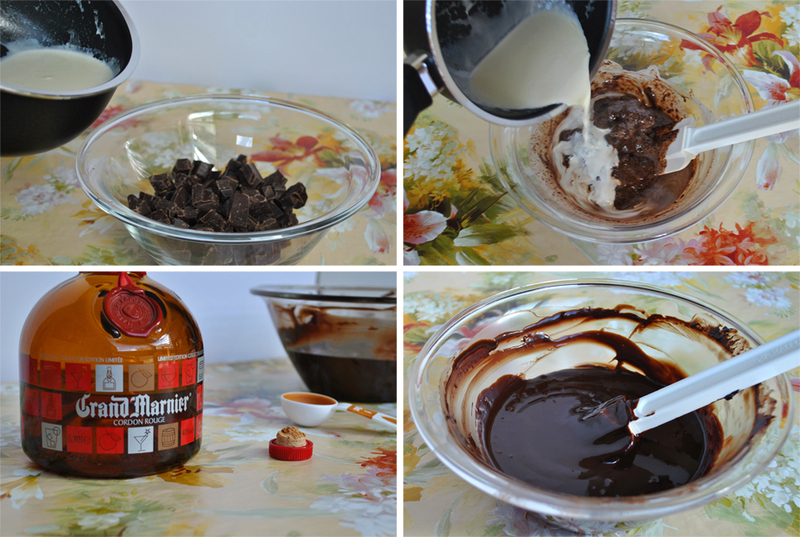 Pour half of the hot cream over the chocolate and let it sit for 30 seconds to melt the chocolate. Then slowly whisk until homogenous. Add the remaining cream gradually and mix until smooth and shiny. 4. Add the Grand Marnier and mix until fully incorporated. Now you have a chocolate ganache! 5. Cover the mixing bowl with plastic wrap and place in the fridge for at least 2 hours or overnight. 6. Using a melon baller or a teaspoon, roll out balls of the ganache and place on a sheet pan. 7. Place in the fridge again for at least 20 minutes. 8. Roll the balls in your hands to make perfect round shapes (the chocolate will melt from warm hands, so a good trick is to dip your hands in ice water for a few seconds, dry them, and proceed). 9. 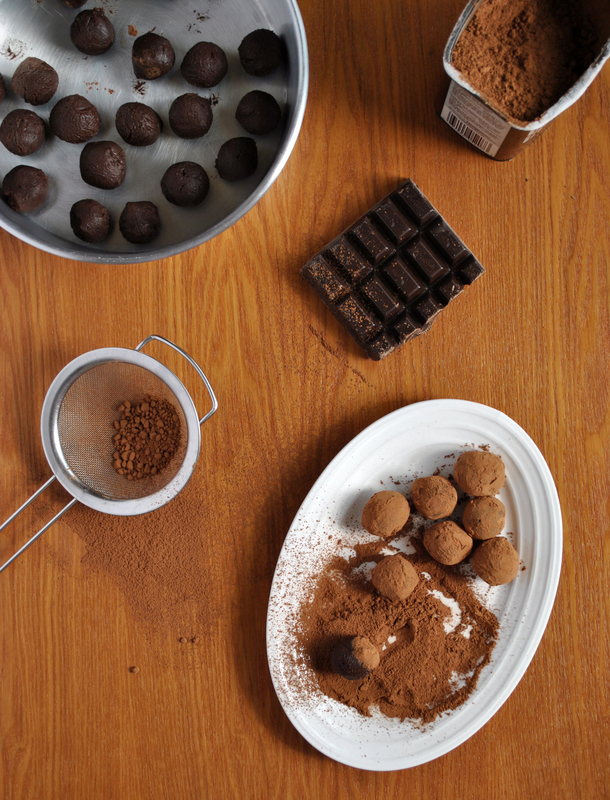 Roll the truffles in cocoa powder, confectioners sugar, or chopped nuts. If the truffles melt again, put them back in the fridge for a few minutes before enrobing them with the garnish. 10. Keep them refrigerated up to 12 days. Blogging does take over your life! It can become very addictive, and fun! 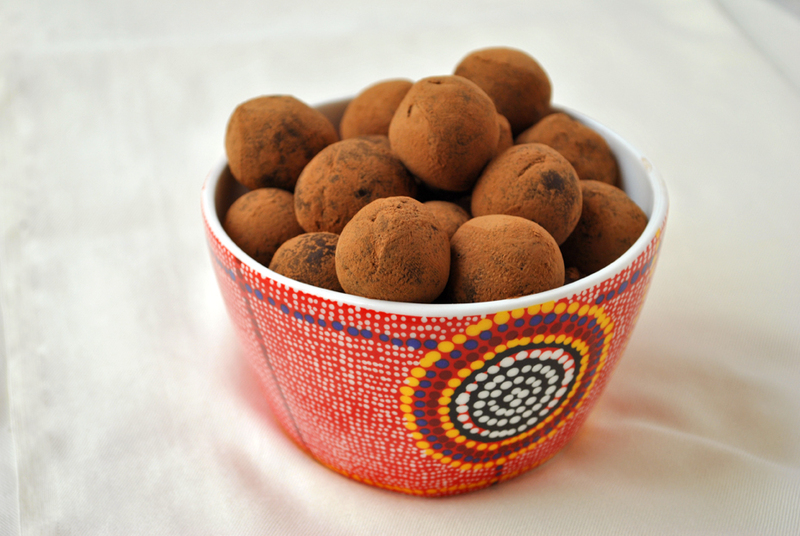 Great post, these truffles look easy and delicious! 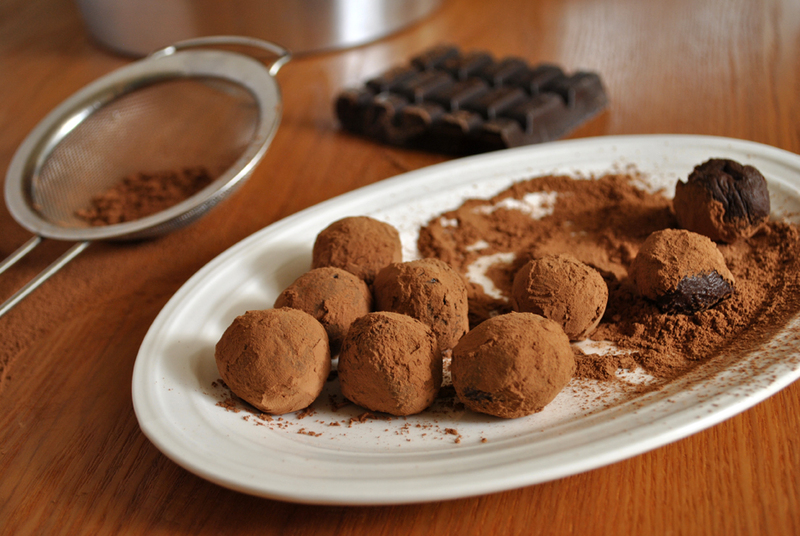 Truffles are great and so many flavour variations you can use. Yes 🙂 It’s one of my favorite chocolate treats!